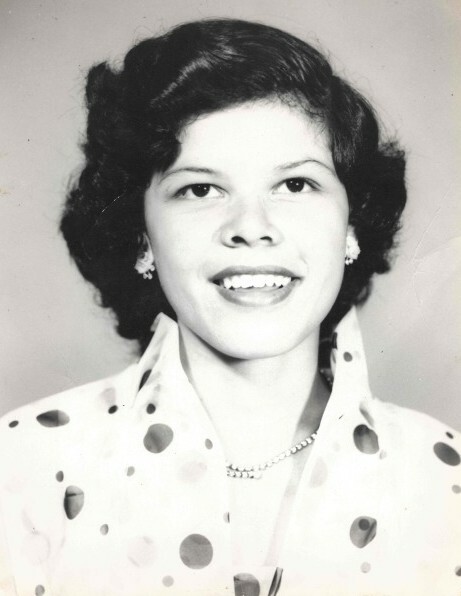 Margarita Jimenez, 83, passed away on Thursday, April 4, 2019 in Laredo, Texas. She is preceded in death by her parents, Marcos and Carmen Morales, siblings: Ernesto Morales, Olegaria Santa Cruz, Refugia Jimenez, and Ausencion Chona” Morales. Left to cherish her memory is her husband, Concepcion Jimenez Sr., children: Manuel Jesus (Mary Frances) Jimenez, Concepcion Jimenez Jr., Ricardo Jimenez, Olga Lydia (Waynes David) McPherson, Dora Alicia Banuelos, Leticia Jimenez, Eliza (Enrique) Gonzalez, and Albert (Marisela) Jimenez, 31 grandchildren, 41 great grandchildren, 2 great-great-grandchildren, brothers: Alberto Martinez and Rogelio (Carmen) Morales. He is also survived by nieces, nephews, other relatives and friends. A visitation will be held on Tuesday, April 9, 2019 from 7:00 a.m. to 8:30 a.m. at Gamez & Sons Funeral and Cremation Services. Departure will be held immediately after visitation to San Vicente de Paul Catholic Church. Mass will be celebrated at 9:00 a.m. Interment will follow at 3:00 p.m. at the Memorial Garden Cemetery.